Hot Season in Bangkok can take your breath away. 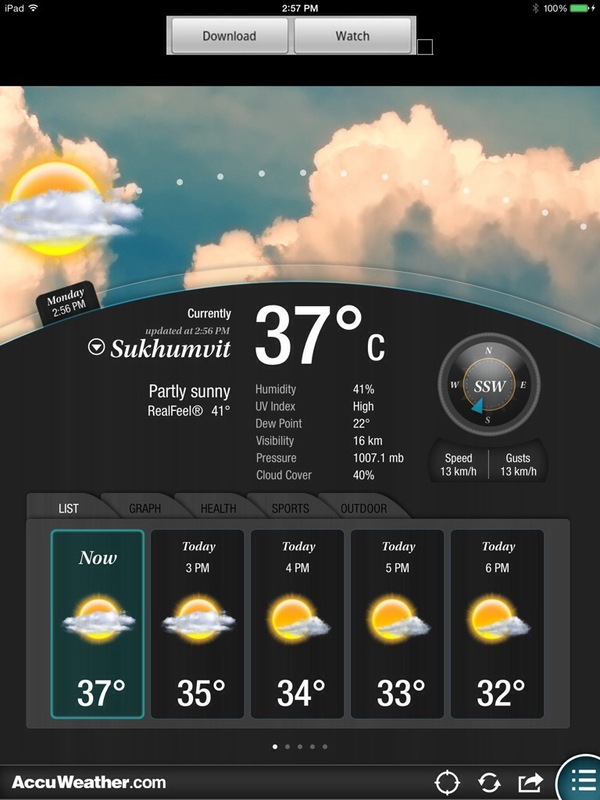 Bangkok is always hot, hot season features intense sun, lack of wind and higher humidity. There are the times you’re shocked into disbelief as you round a corner onto a small street, the air thick and still, a bright hot sun beating down, nowhere to run, nowhere to hind. That’s hot season, no respite, fight or flight. You won’t win your battle with the heat, you learn to manage it. The heat is an extreme, like the cold; you manage it, you determine when to brave it. The sun it up early, it’s still hot long after the sun has set. Afternoons are deadly and is the time for a movie, nap or to wander the cavernous shopping malls looking at the 25,000,000baht cars for sale. Meeting can be in the morning, dinners should be indoors. When you can, break your battle with the heat into short encounters, leap-frog from air-conditioned location to air-conditioned location. Seven 11 stores becomes your ally, your oasis. I’ve no idea the temperature of a Seven 11, but when you walk in from 38c degree heat, what is likely 25c feels like 12c. Many an employee at Seven 11 has marveled at the farang taking 9:22 seconds to evaluate the selection of water, and then to simply decide on a 9baht bottle. Why 9:22? It takes about that long to stop sweating and then add a few minutes to cool your body in hopes the first 2-3 minutes back in the heat will remain cool. Street food? Sure you can still find a sidewalk and stall and eat quickly, or grab it to go and eat at home. Hot soups street side or outdoors? You’ll lose that battle, a shirt soaked with sweat will demonstrate the extent of your loss. Learn to love iced coffee, learn to eat your noodle soups ‘dry’ or with the soup on the side, i.e., avoid the hot liquids that push internal temperature closer to the external temps. I still cannot use an umbrella to block the sun while I walk, I have my pride. Thinking of heat verses cold, blazing sun versus snow, does it take longer for your body to cool off, or warm up? Yes, yes, I know about frostbite in extreme colds and would guess frostbite is more common than heat stroke, but just wondering which daily extreme- heat or cold- poses the bigger challenge for your body. At least with the cold you’re never embarrassed the way you can be embarrassed when dripping sweat in your big-boy work clothes. The embarrassment comes as you stand, dripping sweat, talking to a group of Thais that are hardly perspiring. Protip- point at something in the distance, wipe your brow as everyone following your point. Wear two shirts, apply ample powder, never leave home without a handkerchief, but never, ever wear a handkerchief on your head. If you even think of doing that, or wearing a tank top, you lose, leave. Oh yes, lots of drama in this post, loads of extreme statements and ideas. Is the heat in Bangkok that bad? Sure, but not for long. When you’re dead in the middle of hot season, it seems unbearable, but the extreme daily heat only lasts 6 weeks or so (April and May). And, unless you live in San Diego, you’re likely dealing with some form of weather extreme. This entry was posted in Farang, Weather and tagged Bangkok, bangkok heat, Hot Season, thailand weather. Bookmark the permalink.